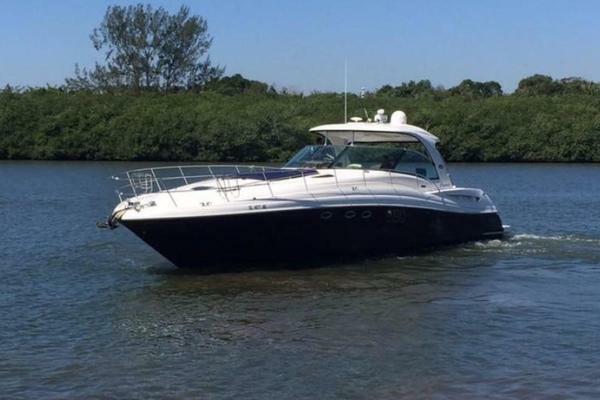 2016 Azimut 43 Atlantis - New Yacht at a Used Yacht Price- Bring all offers! Owner is moving Up! In service date of 2-15-2016. Original Factory Options: Twin 400hp Volvo Diesel Stern Drives with Joystick, Additional bed in aft guest cabin, ATLANTIS ISOLE DΘcor, Cockpit chairs (2), Icemaker in cockpit,Manouvering Joystick, Miami Silver Metallic Painted Hull, Raymarine Platinum Navigation Package, Steplights for exterior (courtesy lights), Premium Pkg (Advance & Comfort pkgs included) BBQ in cockpit, Black and grey waters tank w/level indicator and electric discharge, Bow thruster, Chaincounter control on helm station, Electric searchlight, Hydraulic swimming platform, Search light (portable and manual), Set of pottery and cutlery, Sofa/Bed in dinette, sun bathing cushions and cover on bow, Teak cockpit and on swim platform and Teak on side decks. Installed locally: DSS SAT TV System, TV Package, Aft Curtain for the cockpit. Easy to see by Appointment. Please call for an appointment and showing today!